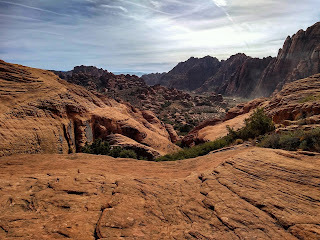 I recently visited Snow Canyon State Park in southern Utah for the first time. Snow Canyon has several unique and interesting features including arches, petrified dunes, slot canyons, a few small caves, sand dunes and a natural spring which can be easily accessed from the road or by a paved bike trail that runs through the park. The park is located about ten minutes from St. George Utah. If you’re headed to Zion National Park from Las Vegas on I-15, you’re going to come within a few miles of Snow Canyon State Park. I highly recommend taking a half day to explore Snow Canyon State Park. Unlike Zion National Park which is usually filled with tourists, visitors to Snow Canyon Park are sparse by comparison. 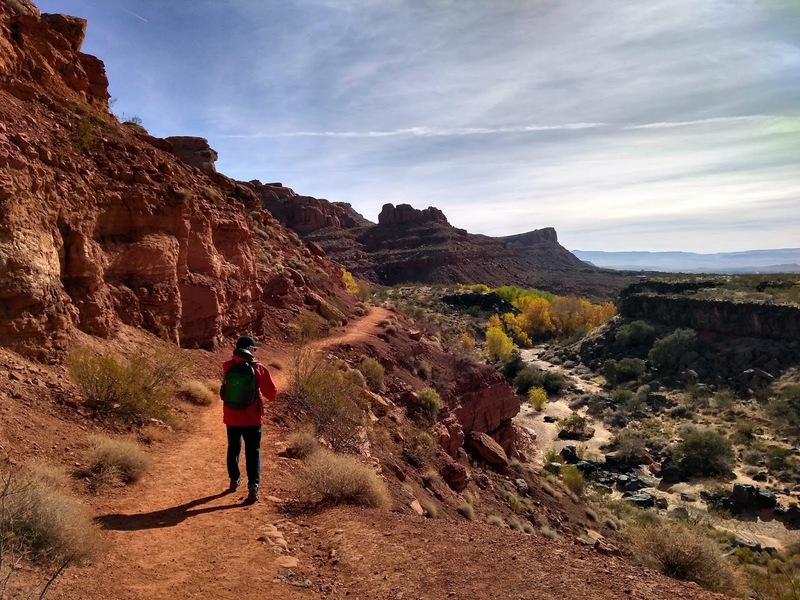 However, most of the major trails in Snow Canyon State Park are less than a mile round-trip, so you should expect to see families and and some tourists on the trails. The paved “Whiptail” bike trail gives you access to most of the trailheads without ever having to cross the road. I highly recommend bringing your bike to this park. There are several great hiking trails for families including a short quarter mile jaunt on Jenny’s Trail to see a small slot canyon, the Sand Dunes Trail and the Johnson Canyon Trail. For more of an adventure, one of the best ways to experience Snow Canyon State Park is to find the Petrified Dunes trail and just start exploring. 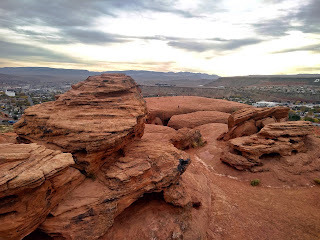 The giant sandstone mounds on the Petrified Dunes Trail are perfect for climbing and rock scrambling. From the top of the Petrified Dunes, you get an amazing birds-eye view of the park below. The Petrified Dunes were my favorite feature in the park. Admission to Snow Canyon State park is $6 per vehicle or $4 per bike. If you have multiple people wanting to bike, it’s a much better deal to drive into the park with your bikes, park your car and start your bike ride inside to avoid the multiple per-person fees. 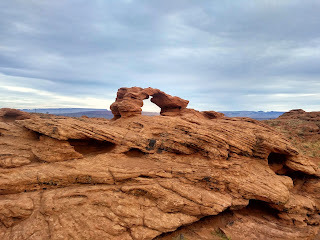 Just a few miles down the road from Snow Canyon Park, there is a free area to explore called Pioneer Park which has several fun features you can explore including a cave, a small slot canyon and a miniature arch. Pioneer Park is situated high above St. George with an amazing view of the town below and it’s one of the best places in the area to catch a sunset. 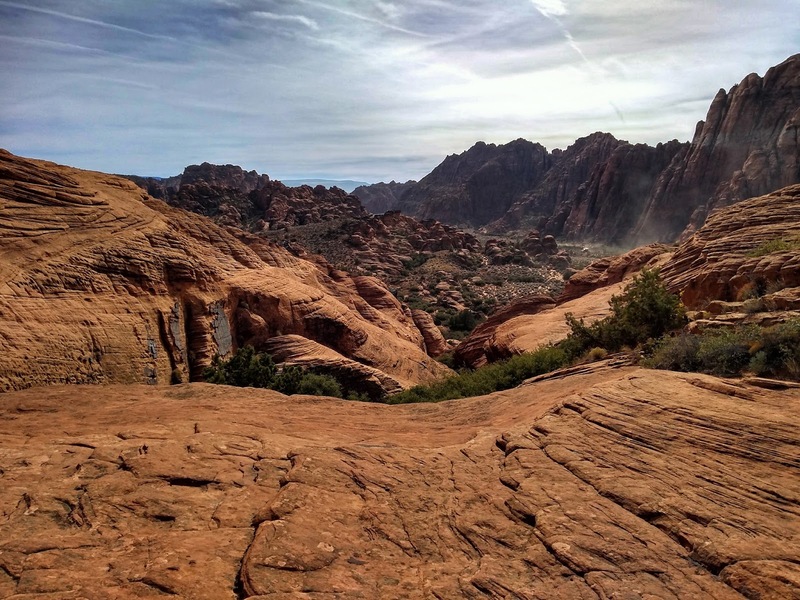 Pioneer Park is comprised of the same type of red Sandstone you’ll find in Snow Canyon. It’s a really great area for rock scrambling and climbing. I definitely recommend taking an hour or two to explore Pioneer Park. I would avoid visiting this part of Utah in the late summer when the temperatures are usually sweltering. You get very little shade and the sky is cloudless for most of July and August. My favorite time of year to visit is in late September and October when the crowds are gone and the temperatures are in the 60’s and 70’s.